Date night number 25 goes for a double dip of fun as we hit the square in Decatur for a mini “pub crawl”. Join us for two scoops of good, and we don’t even eat ice cream! Get your good beer here. 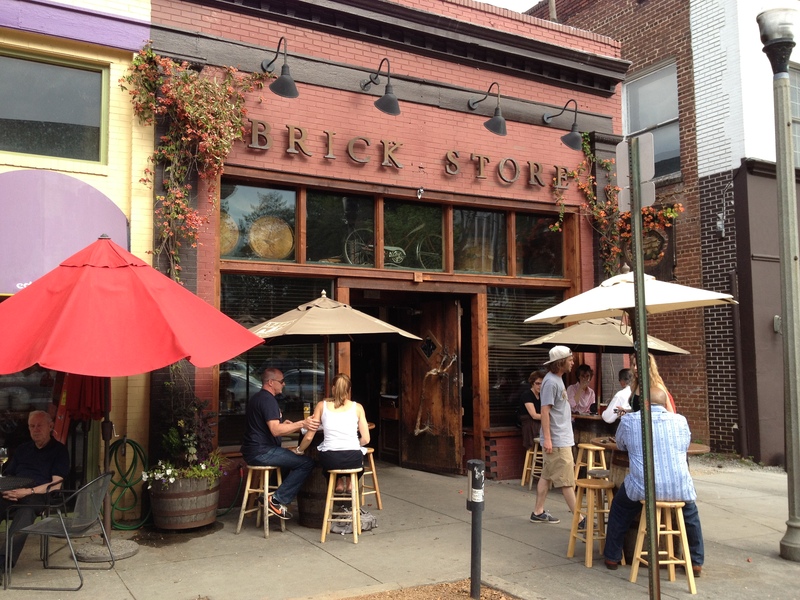 When on the square in Decatur, you must visit The Brick Store. This is only our second visit, but we already love it like an old friend. 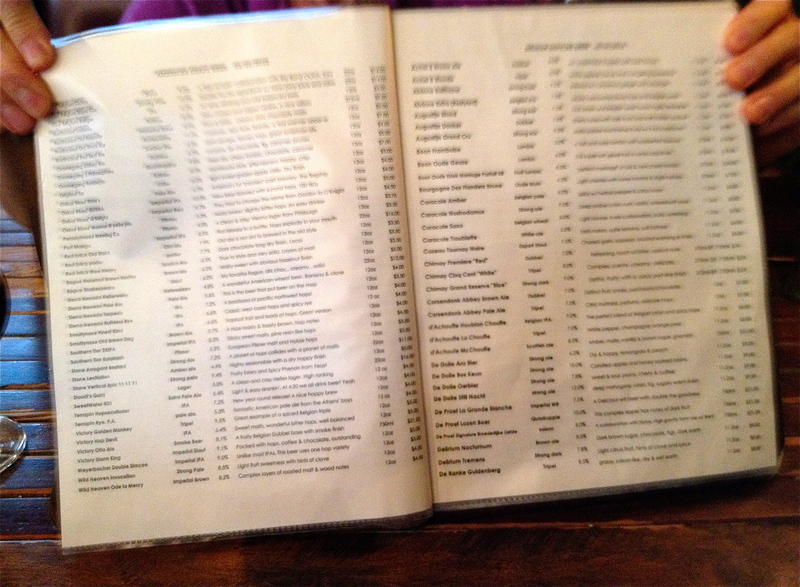 Of course we would probably love any place that has a special book for beer which dwarfs the food menu. A rough count totals over 200 beer choices, with about 35 on tap. The list of beers spans seven pages. Decisions, decisions! 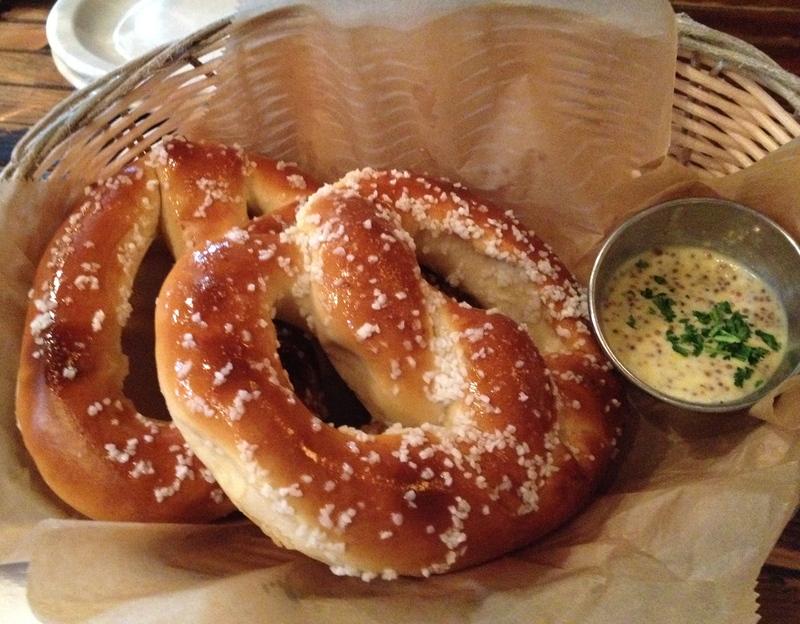 We ask for an order of buttered Bavarian pretzels while making our beer selections. Buttery delicious...the mustard had a sinus-clearing kick. 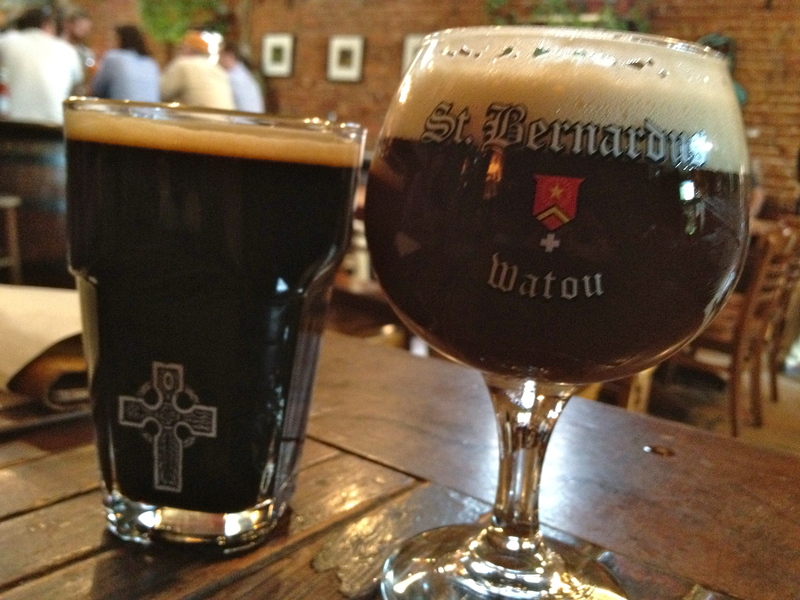 After narrowing it down to draughts on tap we finally pick the St. Bernardus Abt 12 for me and the Lost Abbey Imperial Stout for Roger. Both are high alcohol and both come in the proper (smaller size) glasses. Wow, what great choices. I am not sure I have ever had a better beer – so creamy and smooth, so typical of Belgian style brews. And the stout is hearty, chocolatey, and packs quite the wallop at 11 percent alcohol. After a leisurely hour lingering over our beer and appetizer, it’s time to stroll over to the main attraction, No. 246. Our second stop of the night. Named after the number for the original plat of land. We have looked forward to visiting this restaurant for quite a while and we are not disappointed. We are lucky to have secured this reservation as we learn that they have been closed for a movie shoot all week and have just reopened in the last 30 minutes. It’s 6:10 and the place is mostly empty. There are lots of tables which are pretty close together so we understand how it gets noisy and you are likely to make new best friends with your neighbors. 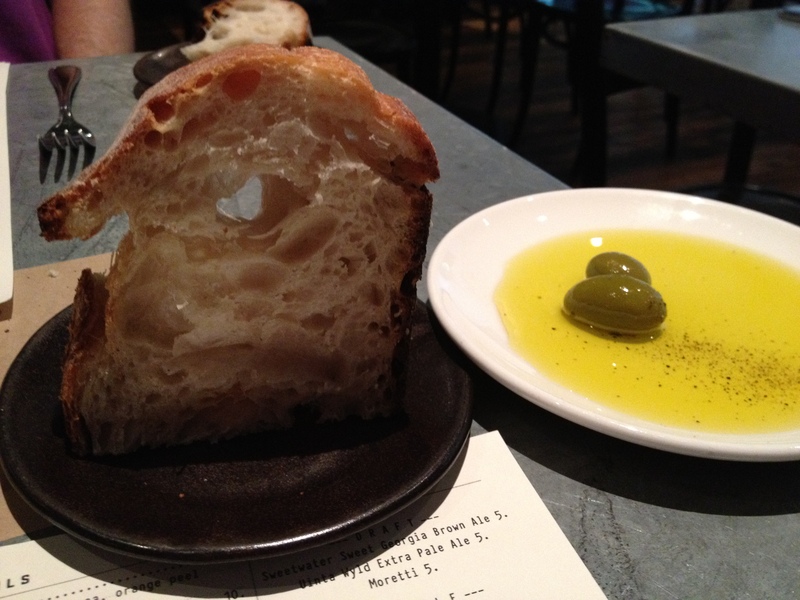 We are served 2 thick slices of warm Italian style bread with a dish of oil and a few olives (which turn out to be quite spicy). More carbs? Why not, it's Date Night! 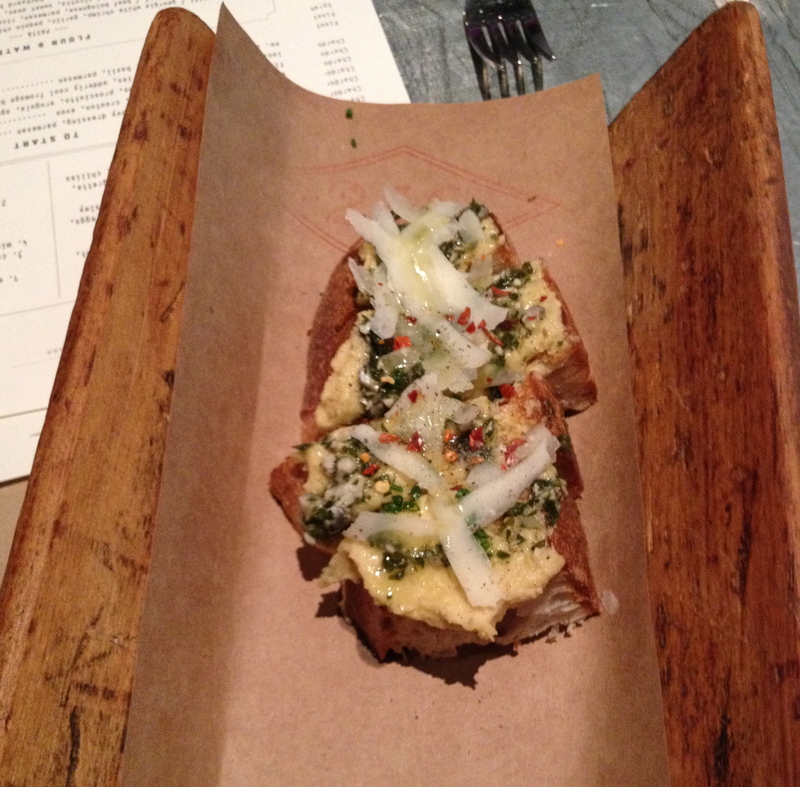 Our first selection is called a Toast, a version of bruschetta, we pick one with chick pea purée, anchovy vinaigrette, local spring chives, Parmesan and chilies – now this might not sound that appetizing, but it proved to be quite delicious. The chickpea toast. Nice plating in a wooden vessel. Next, we share our first non bread item of the evening which is trout, which we pair with a side order of creamy polenta. 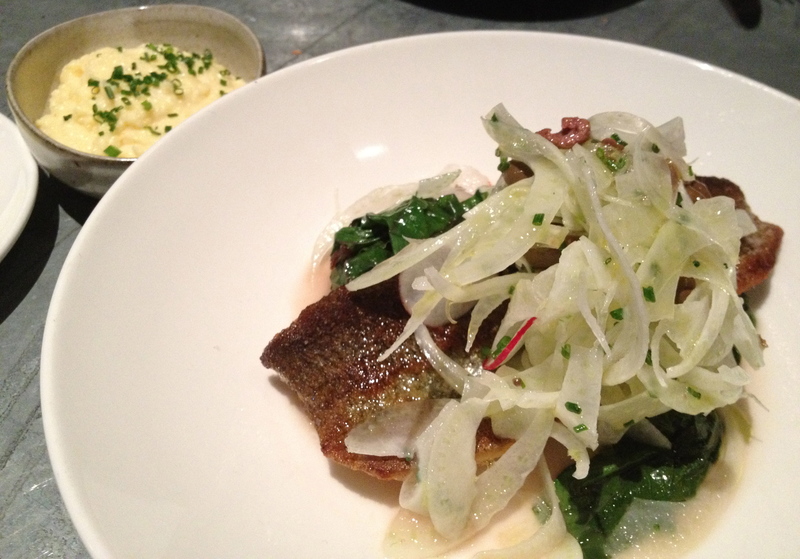 It’s pan seared and served with local chard, fennel, nicoise olives, and radish. The fish is, in one word, perfect! The skin is crispy, the rest is fresh, flavorful and moist. It’s not a huge portion, but it’s enough to be satisfying and still leave room for a fabulous dessert! Trout with a side of polenta. That's fennel on the top. There are four intriguing dessert choices plus ice cream or sorbet served in a house made waffle cone. 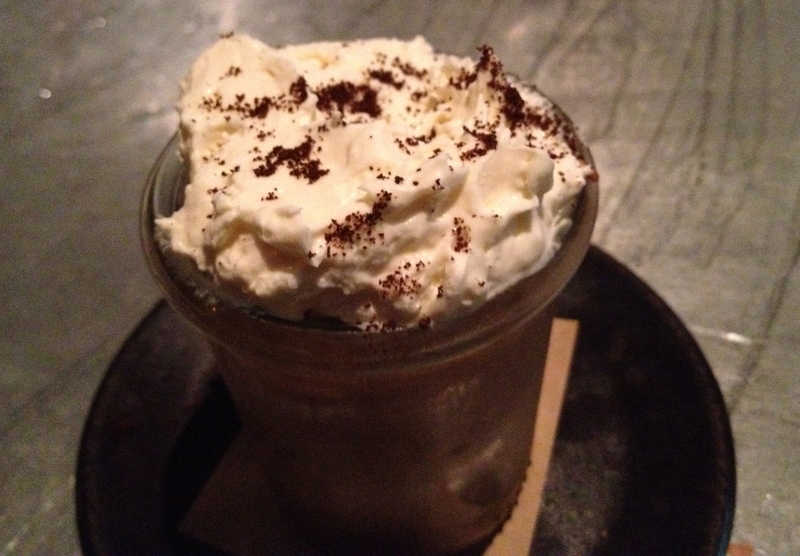 We pick the espresso soaked hazelnut cake with mascarpone cream. It does not photograph well, but it sure does taste wonderful. We eat it slowly and savor the sensation. Good thing we had a long bike ride on Saturday! The service is superlative and our wait person is extremely knowledgeable about the offerings and helpful throughout our time spent at this fine establishment. No. 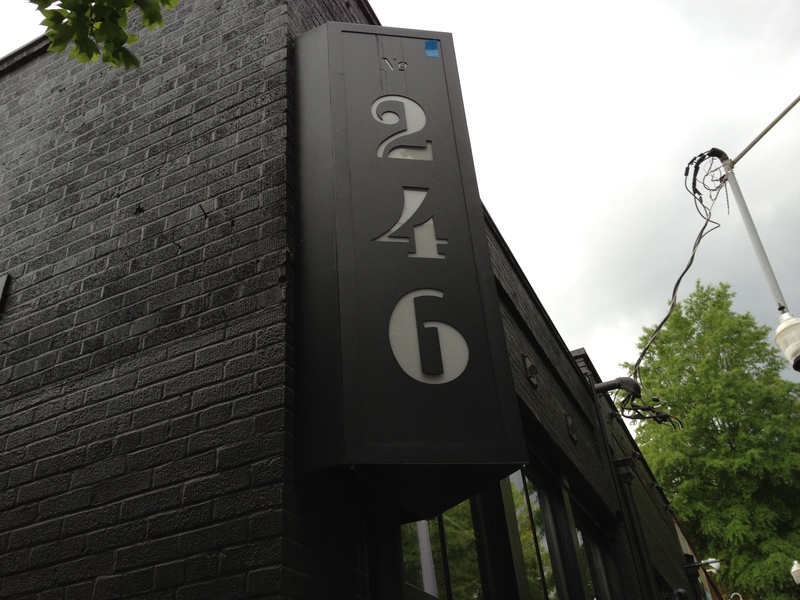 246 certainly lives up to the hype and the high praise it routinely receives.